The two most decorated club sides in Munster football go head to head in the Munster senior club championship final at Páirc Uí Rinn on Sunday next. 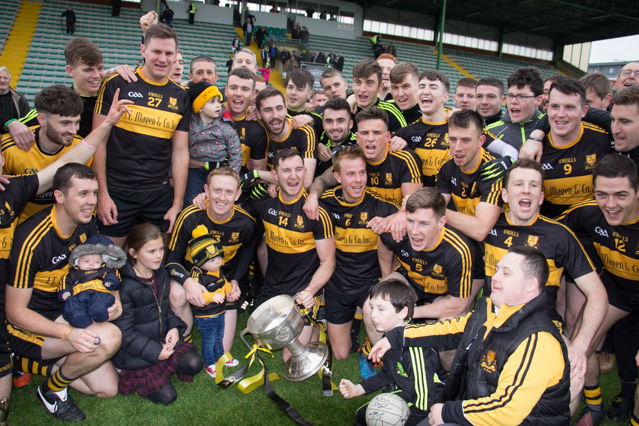 Between them, Dr Crokes and Nemo Rangers have won the provincial title on 22 occasions and they have added 9 All Ireland titles between them subsequent to the provincial honours – not a bad record by any stretch of the imagination. Neither side had any great difficulty getting this far in the competition in Munster; indeed Nemo got a walk over from the Waterford champions in the quarter finals and had a very facile victory over the first time Limerick champions, Adare, in the semi finals. In contrast, Dr Crokes got enough of it in the opening round in Clonmel before orchestrating a six points victory in the second half over Commercials and while they won with something to spare in the semi final against Clare’s Kilmurray-Ibrickane, they were in full battle dress rehearsal mode for a final on that day. In hindsight, that easy passage to the final may work against the Cork champions. They were decidedly unsteady at the back in both the drawn and replayed county finals where they leaked a number of goals and they will have to rely on the training fields to correct those issues – facing a prolific scoring outfit like Dr Crokes that would be a prerequisite for success. The Killarney side of course have conceded only one goal in championship action this season and that was to South Kerry in the county final. Interesting then that their defence is sometimes regarded as their weakest link but they do have an outstanding goalkeeper in Shane Murphy and the likes of David O’Leary and Gavin White are having exceptional seasons. Dr Crokes have an exceptional panel right now, they are of course the reigning All Ireland champions and it is going to take something special from Nemo Rangers to wrest the Michael O’Connor Cup from the Lewis Road side. It promises to be an intriguing game nonetheless and with the Kerry/Cork traditional rivalry thrown in, it promises to be a game well worth seeing. The game has a 2pm throw-in time and Sean Lonergan of Tipperary is the Referee.